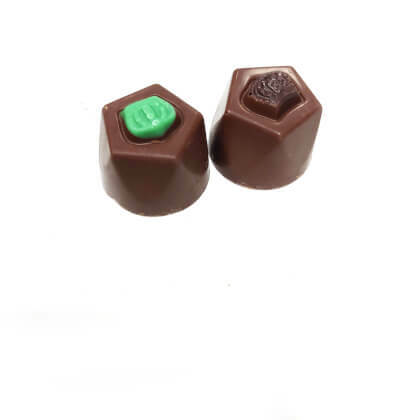 Creamy, gourmet sugar free mint or espresso truffle filling. Milk chocolate shell. Pearls half-pound box. Off sugar( being Poisoned by NWO/ with Round-UP-weed killer !! Not for my Grandchildren! or Me! or Friends! EXCELLENT PRODUCT SO GOOD KIDS & GROWN-UPS LOVE 'EM!... WE THANK YOU!